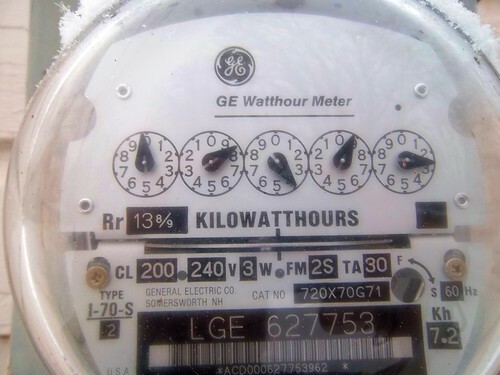 When was the last time you saw your electricity meter? When was the last time you stopped and read it? Do you even know how to read the smart meter? If not, no big deal, because electric meters can be pretty confusing. • The first thing is understand your electricity usage is measured in kilowatt-hours (kWh), which is what your electricity company will charge you each month. • Make sure each dial is readable and you read from left to right. • If the dial is between two numbers, record the lower number. • In the even the pointer is between 9 and 0, always read the 9. • If the meter appears exactly on a number, read that number only as long as the dial to its right has passed zero. • Record the readings while keeping in mind the first, third and fifth pointers move clockwise with the second and fourth meters move counter-clockwise. • Make sure everything is readable and there are no major cracks, dents or damages. • Record the numbers from left to right. The dials on your meter will keep turning until your next scheduled reading. That is why in order to calculate your own usage you need to take two readings. The first will be at the beginning of the month, then at the end. You will be able to tell how much energy you’re consuming by subtracting the new readings from the old readings. Once you do this, you can figure out how much money you will be expected to pay based on your company’s electric rates.